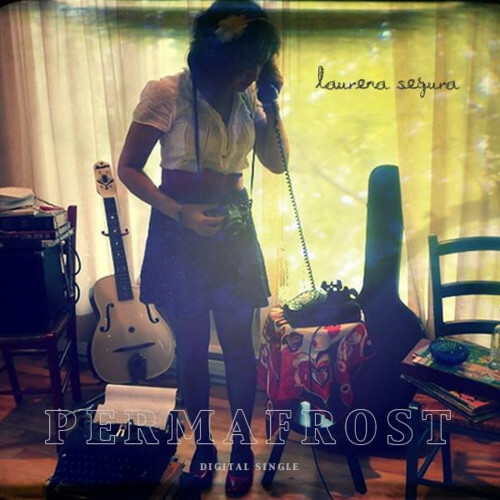 Laurena Segura is still a teenager, has only ever played two gigs, and is already writing and recording songs that stand up to the best folk-pop in Canada. Her YouTube channel is full of delicate, catchy, charming little tunes, all recorded at home on her own computer. They've won the Montrealer an impressive online following — thanks in part to author John Green (of The Fault In Our Stars fame), who not only used one of her songs in his book trailer, but also signed her to his label: DFTBA (Don't Forget To Be Awesome) Records. They've recently put out her first single, a three-song release featuring "Permafrost", "The Fireflies of Montreal" and "À Un Autre Comme Moi". You can buy the single (for a measly $2.97) here and then check out the rest of her tunes on YouTube here. Or just scroll down; we'll post all our favourites below. We recently caught up with Seguara to ask her a bunch of our silly questions... y'know, before she gets to be too famous to bother which such things. Hmmm. Well, the best compliment I ever received is that I sound like a mix of Sufjan Stevens and Regina Spektor. I guess that's pretty accurate. I like keeping things calm and like to integrate many instruments to my song. Accordion, french horn, banjo, guitar, mandolin, and lots of harmonies. I try not to let it get too chaotic, though. Well, considering I've only ever played two gigs... My dream venue would be the Ukrainian Federation Hall, a.k.a. hipster central. It's a beautiful theater that just feels really welcoming. It's quite big, though, so it'll probably take me a while to work my way up to it. Avril Lavigne, Let Go. It freaking rocked my world. I still listen to a few of its songs from time to time, but don't tell anybody. Anyone who'll have me, really. Maybe Dan Mangan. That would be really cool. Cello! It has the most beautiful sound. And cellists always look really intense when they play. Definitely "Permafrost", because people know it and look forward to it. If you could switch places with another musician in some type of "Freaky Friday" type incident, who would you want it to be? Feist or Amy Milan (from Stars). I love their music!